Fully skilled at the University of Milan and Grenoble ( France ) in Plastic and Reconstructive Surgery ,Dr Piero Crabai is a highly experienced board certified Plastic Surgeon. 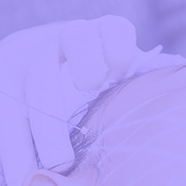 He developed his profession during more than twenty years in every branch of plastic and aesthetic surgery specially in facial and breast aesthetic and reconstruction . Since 2014 has been certified Plastic Surgery Specialist and is working in Champs Elysees Aestetical Medical Clinic in Dubai. Actually he takes consultations and perform surgeries in Milan and Dubai with his team. Dr. Piero Crabai in the last ten years has been the Main Researcher and International Speaker of some European Companies involved in innovative research . Actually he is the International speaker and researcher of some Italian and International Companies for Aesthetic Chemical / electromedical / laser products.